Ice cream cakes are perfect for any occasion—from birthdays to bridal showers, game day to family celebrations. Or hey, it’s just a Thursday afternoon. 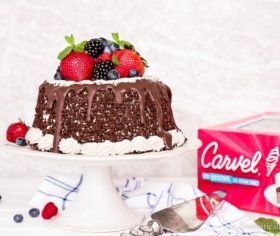 Let’s face it, Carvel Ice Cream Cakes tend to get gobbled-down so quickly, the Crunchies are flying. But let’s just say you find yourself in some weird alternative universe where you have ice cream cake to spare. Here are some creative, delicious ways to enjoy it. Grab your blender and add a dash of milk to make these options come to life. Sundaes: Whip up your leftover cake and store in your freezer to set. Scoop and top with your favorite traditional ice cream toppings like hot fudge, whipped cream, and nuts. Or go nuts with gummy bears and sprinkles. Heck, we don’t know what your favorites are, put some goji berries on there if that’s what you’re into. 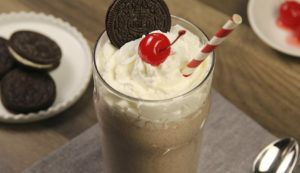 OREO Milkshakes: Take the final slices of your OREO Ice Cream Cake, blend until smooth, and add a silly straw. The silly straw is totally mandatory. If the kids are in bed, add a dash of Kahlua® to make it a grown-up gathering. The silly straw is still mandatory. 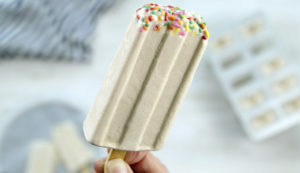 Creamy Popsicles: Pour your ice cream cake mixture into silicone popsicle molds. Add a popsicle stick. (Surprise! Their intended use isn’t just art projects.) Freeze for a few hours. It’s all the joy of an ice cream cake without needing a plate. We used our Hello Kitty Ice Cream Cake and added multi-colored sprinkles to our mixture to give it that perfect pop of color. 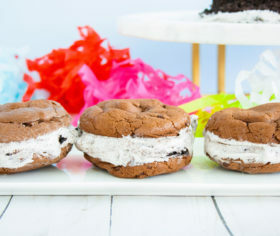 Ice Cream Cookie Sandwich: Take your favorite cookies and lay them out on a cookie sheet. Drizzle with chocolate or caramel syrup, add a square of ice cream cake, drizzle again, and top with another cookie. Pop them in the freezer for a few hours and voila! Just think, if a cookie cake is fantastic, a cookie cake cookie sandwich must be, like, fantastic squared! Ice Cream Cupcakes: Grab a cupcake pan and fill with cupcake liners. 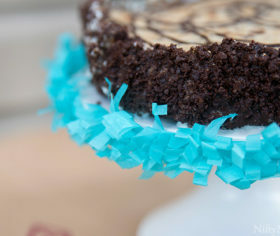 Stick your favorite store-bought cookie in the bottom of each liner and top with blended ice cream cake. Freeze for a few hours to let them set and top with icing. Voilà, ice cream cookie cupcakes! It’s three desserts in one. It may be decadent, but don’t let that stop you from having seconds (or thirds). 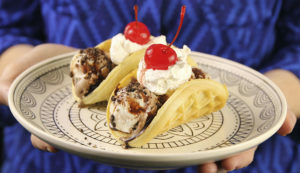 Waffle Ice Cream Tacos: Toast frozen waffles and drop in pieces of your favorite ice cream cake (we used Carvel Ice Cream Cake), and toppings like brownie bits, sprinkles, or caramel syrup. Fold the waffle in half and enjoy your ice cream cake tacos! And since waffles are involved, this can totally pass for a reasonable breakfast.